Richard Meadows, Houston County, was elected to serve as president of the Alabama Cattlemen’s Association February 16 at the Opening General Session of the 74th annual ACA Convention & Trade Show. This title follows a term of serving as both president-elect and vice president of the state association. Richard is a proud member of the sixth generation to grow up on his family’s row crop and commercial cattle farm in Columbia, Alabama. Richard has been involved in the cattle industry since he was very young, and he and his siblings showed steers throughout their 4-H years. Profits from the steer projects were invested in purchasing his very own cattle, and at age 11, Richard bought his first commercial heifer. By age 14, he was able to buy his first purebred Charolais cows. From these beginnings, the family partnership of Meadows Creek Farm was formed between Richard and his brother, Glenn. Today, Meadows Creek Farm raises purebred Charolais and commercial crossbred cattle. While in 4-H, Richard was on the state champion Livestock Judging team. He continued that trend while in college at Auburn University, by serving on both the livestock and meats judging teams. He continues to use his skill set to judge cattle shows throughout the Southeast. Learn more about Richard and his family by reading the March issue of the Alabama Cattleman magazine. Howdy, Cattlemen! We missed catching up with you all last week while we were in Nashville at the 2017 Cattle Industry Convention and NCBA Trade Show. It was a great time of learning, meeting and seeing so many friends from across the nation that share the bonds of cattle production. We were thrilled to see so many attendees from Alabama and enjoyed exploring that massive Trade Show with over 350 vendors. We’re also proud to have attended the largest NCBA Convention in history with over 9,500 attendees- wow!! Speaking of Covnention, if you hear about a whirlwind striking Downtown Montgomery near the Cattlemen’s Building, never fear. It’s just your ACA staff running around making final details come together for next week’s 74th annual ACA Convention & Trade Show. This week is all about Convention preparation, but we want to be sure to keep you informed about all that’s going on as we prepare for the busy month of February. Keep reading to find out all that’s happening this week among your state staff. One week from today. 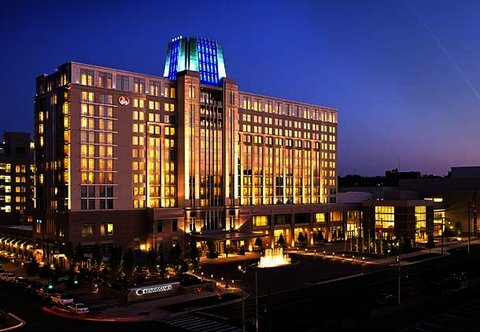 In just ONE WEEK from today we will be welcoming cattlemen from across the state to the Renaissance Montgomery Hotel and Convention Center for our 74th annual ACA Convention & Trade Show. We’ve got a sold out Trade Show with over 70 vendors, four outstanding Cattlemen’s College sessions and a great lineup of keynote speakers for our General Sessions. Speaking of that, in the past week we learned that CattleFax Analyst Chad Spearman couldn’t make the trip down to update us on the markets. Now, don’t go getting upset yet because we’ve got some great news to go with that sour lemon. Instead of Chad Spearman, we get his boss- CattleFax CEO Randy Blach will be joining us instead. Those of you who attended NCBA Convention know that Randy gave an outstanding market update concerning weather, exports and future outlooks. Click here to learn more about Randy Blach. We don’t want you to miss out on all the great events we’ve got coming our way next week. Get pre-registered now until FRIDAY at noon by visiting www.bamabeef.org/convention to guarantee your meals. Otherwise, walk-in registration is on a first-come-first-serve basis. Today was the first day of the Legislative Session which is expected to be a difficult one as redistricting has been added to the already-full agenda. We look forward to getting a first-hand update from the two leaders – Rep. Mac McCutcheon, Speaker of the House, and Senator Del Marsh, President Pro Tempore of the Senate at the Board meeting Luncheon next Wednesday during the Convention. Don’t miss out! Your Ag Coalition is meeting weekly to follow this session and ensure the protection of farmers and landowners across the state. Counties across the state are hosting annual meetings, and ACA officers and staff are working to attend each and every one! We’ve really enjoyed getting to visit with cattlemen across the state and appreciate the generous hospitality. Unfortunately, we can’t be there if you don’t let us know, so send your upcoming county meeting information to Jessica Kennedy at the state office. If you need ACA trinkets such as membership applications, place mats, napkins, etc for your meeting PLEASE let Jessica know ASAP! “Over the Top” Deadline – All membership needs to be in the state office or postmarked by February 28th to qualify for “Over the Top” awards. Several counties have entered membership but have not yet sent payment. This is a reminder that membership is processed when payment is received at the state office, so get that check sent in! Get those memberships and payments into the office by THIS FRIDAY to have updated numbers included on your Board Meeting handout. Following your county meeting, send us your new officers so we can update them in our system! Simply email them to Jessica. To check out information on your county meeting, visit our Bama Beef Events Calendar today. If your meeting isn’t posted or there’s any important information missing, give Jessica a call at (334) 265-1867. Recruit a new member, and their name as well as your name is entered. For each new member you recruit, that’s an extra chance, so recruit, recruit, recruit! Speaking of upcoming events, stay informed about all that’s happening in Alabama’s beef cattle indsutry by following our Bama Beef Events Calendar online. You can check it on your phone out in the field or view it on your computer after a long day of work. It’s got all the info about upcoming sales, Extension workshops, BQA certifications, Cattlemen’s events…all of it! Check it out by clicking here. YCLP CLASS IV NOMINATIONS- NOW OPEN! Young Cattlemen’s Leadership Program (YCLP) applications are now posted on the website at www.bamabeef.org/YCLP. This program is for cattlemen between 21-40 years of age who are interested in getting more involved in the ACA and knowledgeable about the industry. For more information or if you’re ready to submit an application, send them along to Erin at the office. Save the dates and purchase your tickets today! We’ve got a big show headed to Montgomery’s Garrett Coliseum, and you’re not gonna want to miss it. We’ve got the PRCA’s best bucking stock, PRCA Freestyle Bullfighting and Alabama-bred rodeo entertainer Trent McFarland coming your way for a night of thrill and laughter. Bring the little ones down to see the best show on dirt. 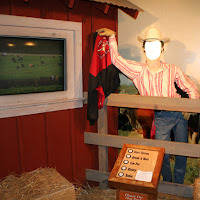 We’ll even let them play on the dirt during the Stick Horse Rodeo before each nightly performance. Thursday night- kids 12 and under enter FREE while Friday night, families can purchase four tickets for only $40. That’s cheaper than a movie, folks, and a whole lot more entertaining! The SLE staff is busy selling tickets, getting sponsorships and marketing the event. Pretty soon a new commercial will be hitting television screens, while posters and banners are being printed. We can’t wait to see you there- call us today to purchase your tickets at 1-888-2RODEO2 and learn more about the rodeo’s many events by vising the SLE Rodeo website. Cowboy Cookoff registration is open online, and we are recruiting teams to participate in the steak cookoff on Saturday, March 18 in conjunction with the SLE Rodeo. Contact Erin with any questions and click here to view rules and registration information. Thanks for reading this week’s post! We’ll be back next week- same time, same place. Until then, we want to remind you that you can stay in touch with us by following us on Facebook, Twitter or Instagram. Have a great week and don’t forget to register for Convention and purchase your SLE Rodeo tickets! While our cattlemen are busy keeping cattle fed through the ups-and-downs of this temperamental weather, your state ACA staff is busy planning our upcoming Convention, making preparations to attend the NCBA convention next week and getting rodeo plans finalized…all while maintaining the day-to-day office tasks. It’s a busy time to be in the cattle business, but it’s always a good time. Keep reading to follow all that’s going on around the Cattlemen’s Building this week. We have three headliner speakers this year. The first is 10-year veteran of CattleFax, Chad Spearman, who will be talking about “what lies ahead for the cattle market.” The Colorado State University graduate will discuss weather predictions and cattle price outlooks during one of the Convention’s sessions. Next on the lineup is NCBA’s Senior VP of Global Marketing and Research Alisa Harrison. Alisa comes with vast experience in the worlds of beef retail marketing and public relations, and she will be discussing marketing beef in a challenging environment. Last but certainly not least, NCBA Past President Steve Foglesong who is now serving as a member of President-Elect Donald Trump’s agricultural advisory team. He will be discussing what to expect from Washington D.C. under the Trump Administration. Read More about our keynote speakers by visiting our Facebook Event Page. If you’ve got business that needs to be taken care of for the betterment of your farm, it can probably be handled at our trade show. We’ve got over 65 national, state and local vendors bringing everything from heavy farm machinery, off-road vehicles, cattle working facilities, insurance, breed associations, nutrition and nutritional supplements…it’ll all be at our trade show for you to see and learn about. “Producing the Right King of Cattle and Marketing Strategies for Top Dollar” panel led by Jerry Etheredge, LMA president; Gene Lowry, JBS Feedlot; Jim Sealy, Alabama Livestock Market; Darryl Stokes, Montgomery Stockyard. Also, President Pro Tempore of the Senate, Del Marsh, and Speaker of the House of Representatives, Mac McCutcheon, will address the Board of Directors during their luncheon on Wednesday to update them on the Legislative Session that will be underway. Dr. Powell is meeting with these two today to discuss topics that cattlemen would most enjoy learning about. There will be no shortage of networking at the convention’s many meetings and throughout the trade show. We also are offering family fun at the Wednesday night “Rotational Grazing” event where families can enjoy social time with good food and music provided by the Good Ol’ Boys, aka Ed Whatley’s crew! To wrap up Convention, the Sweet Young’uns will open up the dance floor with over 50 years of musical entertainment experience! We will also be taking care of some business at convention! We are very excited to award 51 deserving scholarship recipients representing over $60,000 at the Thursday evening Awards Banquet. Voting is also now underway for five outstanding nominees for the Alabama Livestock Hall of Fame. We look forward to learning about who our newest inductee(s) are! Several counties have entered membership but have not yet sent payment. This is a reminder that membership is processed when payment is received at the state office, so get that check sent in! The Ag Coalition is back in order in preparation of the upcoming Legislative Session kicking off February 7 in Downtown Montgomery. The Ag Coalition, made up of representatives from the ACA, the Alabama Department of Agriculture, the Alabama Farmers Federation, the Alabama Poultry and Egg Industry, Alabama Forestry Association and Alabama Agribusiness Council, monitors activity that could have an effect on the agricultural industry in the state of Alabama. This group works together to protect the interests of Alabama’s farmers. This week, their meeting consisted of discussing certain bills that are expected to arise that are linked animal activist groups. These bills will continue to be monitored along with the discussions on gas taxes, prisons and Medicaid. The group anticipates the Legislature to “hold off” on some of these topics in order to follow the lead of the Trump Administration. It’s no secret that feral hogs are an issue in the state of Alabama. Today, ACA Director of Industry Relations and Youth Activities Matthew Pounds is meeting with the Department of Ag, the Department of Conservation, the Wildlife Federation and other organizations representing landowners to discuss programs for controlling and/or eradicating feral swine. Auburn University has done extensive research on this topic and are reporting on this research. Erin spent the day last Friday at Sysco Gulf Coast Geneva where top salesmen were awarded cash prizes for their beef sales in December through January. One prize was given to the salesmen who sold the most beef and the other was given to the salesmen with the largest percent growth. Overall, this promotion generated an increase of over 25,000 lbs. of beef compared to the same time last year. These promotions are a great use of checkoff dollars. The Distinguished Young Women of AL had their annual luncheon at the cattlemen’s building last Thursday. It was great to host this large group of young leaders and teach them more about the beef industry. They enjoyed a great steak and spent time in The MOOseum. Several participants had parents and grandparents who are members of the ACA. Recognize anyone? Pictured L-R are ACA Executive VP Dr. Billy Powell. Anne Walton Herston, Lauderdale County, Tagged for Greatness scholarship recipient and Lauderdale County Junior Cattleman; Railey Ayers, Crenshaw; Ashleigh McCool, Pickens; Elizabeth Anne Buford, Wilcox; Darby Hines, Tallapoosa and ACA Director of Industry Relations and Youth Activities Matthew Pounds. The Young Cattlemen’s Leadership Program (YCLP) applications are now posted on the website at www.bamabeef.org/YCLP. This program is for cattlemen between 21-40 years of age who are interested in getting more involved in the ACA and knowledgeable about the industry. For more information or if you’re ready to submit an application, send them along to Erin at the office. This week, ACA Director of Accounting Cynthia Dondrea, ACA Treasuer LD Fitzpatrick and ACA Executive Vice President Dr. Billy Powell are working with Carr, Riggs & Ingram on the annual audit of the General Fund, National and State Checkoff and Foundation. They are also working on year-end tax reporting and officially closing the books on 2016. This information will be reported on at the next Board Meeting. If you call next week, you might find many of the staff out of the office as we will be in Nashville, TN attending the 2017 Cattle Industry Convention and NCBA Trade Show. We’re excited to have quite the impressive list of Alabama attendees and encourage Alabamians to use our Trade Show Booth #1392 as a gathering place! It’ll be a packed and busy three days as staff will be attending receptions, checkoff meetings and federation meetings, and cattlemen will be attending the many outstanding Cattlemen’s Colleges, the gigantic Trade Show and the fun events in the evening. Hey, speaking of Cattlemen’s Colleges, we’re proud that our ACA President-Elect Richard Meadows will be a panelists at one…great! Stay tuned for photos and updates from the big event. We look forward to seeing all our Alabama Cattlemen there, and we pray for traveling mercies for everyone heading north. SLE RODEO- DON’T MISS IT! We are also getting ready for the 60th annual, star-studded SLE Rodeo! Activities and meetings are underway to finalize advertising, corporate sponsorships, facilities, scheduling and the Junior Beef Expo. The talk of a new television commercial and an extra special entertainment act are also underway. Ticket sales are also underway- have you purchased yours yet? Purchase them today by visiting slerodeo.com or calling 1-888-2RODEO2. We can’t wait to see you there! Thanks for reading this week’s post! We’ll be back next week- same time, same place. Until then, stay in touch with us by following us on Facebook, Twitter or Instagram. Have a great week and don’t forget to register for Convention and purchase your SLE Rodeo tickets! Whew, it’s another warm one out…not a typical thing to say in the middle of January, but it’s what we all can expect with living in Alabama. It’s safe to assume that our cattlemen would probably prefer working in 70-degree weather versus freezing temps anyway, right? You may recognize this article because we keep posting it each week. That’s because it’s all the same info that we intend to keep reminding our producers and county leaders about. We want to see you at Convention, so don’t dawdle…register now! Also, President Pro Tempore of the Senate, Del Marsh, and Speaker of the House of Representatives, Mac McCutcheon, will address the Board of Directors during their luncheon on Wednesday to update them on the Legislative Session that will be underway. That’s pretty simple. The meals with be worth the trip alone! Counties across the state are hosting annual meetings, and ACA officers and staff are working to attend each and every one! Many staffers and staff officers enjoyed attending the many county meetings that occurred last weekend and were excited to see the scholarships given, awards presented and to meet and mingle with producers from across the state. Not to mention the great steak dinners we were all able to enjoy! Elmore County even hosted National FFA Southern Region Vice President Abbey Gretsch to speak and hosted over 60 youth at their meeting! Kudos to Elmore County!! Unfortunately, we can’t be there if you don’t let us know, so send your upcoming county meeting information to Jessica Kennedy at the state office. If you need ACA trinkets such as tags, membership applications, place mats, napkins, etc for your meeting PLEASE let Jessica know ASAP! The 2nd Renewal Notice will go out by the end of the month so get payment in for pending membership! The Ag Coalition will reconvene shortly as the Opening Day for the 2017 Legislative Session is Tuesday, February 7. The Ag Coalition, made up of representatives from the ACA, the Alabama Department of Agriculture, the Alabama Farmers Federation, the Alabama Poultry and Egg Industry, Alabama Forestry Association and Alabama Agribusiness Council, monitors activity that could have an effect on the agricultural industry in the state of Alabama. This group works together to protect the interests of Alabama’s farmers. Each year, the ACA has the distinct honor of hosting 67 of Alabama’s top teens. On Thursday, the ACA will open its doors to the Distinguished Young Women of Alabama for a luncheon, tour of The MOOseum and a presentation on the beef cattle industry in Alabama. These ladies are in the Capital City staying with host families as they prepare for their state pageant this weekend. DYW, formerly known as Jr. Miss, is a scholarship pageant based on brains rather than beauty. These high school seniors are smart, talented and serve as leaders in their schools and communities. ACA is pleased to have them by to fuel them up with protein before the big show! Do you know a young cattlemen who is ready to step in your county association? If so, nominate them for the Young Cattlemen’s Leadership Program (YCLP) Class IV. Applications are available now on BamaBeef.org/YCLP. foodservice companies in the state. We plan to host between 4-6 programs in April for about 50 participants each time. Remember, if your county is interested in coming to a BEEF 101, contact Erin. Also, if you are interested in seeing what BEEF 101 is all about, we always like to have cattlemen along to say hello to participants. This week, ACA Director of Accounting Cynthia Dondrea is working with Carr, Riggs & Ingram on the annual audit of the General Fund, National and State Checkoff and Foundation. She is also working on year-end tax reporting and officially closing the books on 2016. NCBA has executed a new software for National Checkoff reporting called BARN and Cynthia is also working to wrap her head around that new program. All the while, she’s keeping up with the normal association accounting! We are also getting ready for the 60th annual SLE Rodeo! Activities and meetings are underway to finalize advertising, corporate sponsorships, facilities, scheduling and the Junior Beef Expo. The Rodeo Committee is meeting this weekend at Dr. Billy Powell’s farm in Leroy to make final plans. It’s a busy time for the rodeo! Howdy from the Cattlemen’s Building in Downtown Montgomery! From freezing rain to springtime forecasts, this Alabama weather still has our heads spinning. Speaking of heads spinning, that’s the current state of your state officers and staff and we take on the busiest time of year! Convention planning, SLE Rodeo happenings, county meetings galore…there’s a lot going on! While all these happenings keep us worn out, we are always rejuvenated when we have the opportunity to hit the road and visit with Cattlemen from across the state at those county meetings and at the Convention. It’s busy no doubt, but it’s an exciting time as well! We have three headliner speakers this year. The first is 10-year veteran of CattleFax, Chad Spearman, who will be talking about “what lies ahead for the cattle market.” The Colorado State University graduate will discuss weather predictions and cattle price outlooks during one of the Convention’s sessions. Next on the lineup is NCBA’s Senior VP of Global Marketing and Research Alisa Harrison. Alisa comes with vast experience in the worlds of beef retail marketing and public relations, and she will be discussing marketing beef in a challenging environment. Last but certainly not least, NCBA Past President Steve Foglesong who is now serving as a member of President-Elect Donald Trump’s agricultural advisory team. He will be discussing what to expect from Washington D.C. under the Trump Administration. Just confirmed! President Pro Tempore of the Senate Del Marsh and Speaker of the House of Representatives Mac McCutcheon will address the Board of Directors during their luncheon on Wednesday to update them on the Legislative Session that will be underway. We will also be taking care of some business at convention! This week we sent letters to 51 deserving scholarship recipients representing over $60,000 in scholarships. We also Sent a ballot with five outstanding nominees for the Alabama Livestock Hall of Fame to living members of the HOF for voting. We look forward to learning about who our newest inductee(s) are! the plate to address the critical hay shortage in Cullman County. The Cullman County Cattlemen’s Association worked to help set up a local hay relief effort for cattle located in Cullman County. The groups involved are Cullman County Commission, local branch of Alabama Soil and Water Conservation, Cullman County Cattlemen’s, Alabama Farmers Federation, the Natural Resources Conservation Service and the Cullman County Farm Service Agency. The following are the steps involved in making this a reality for the cattle producers. A committee of representatives from groups involved was formed to organize the relief efforts. Cullman County Commissioner issued a grant of $12000 to the local branch of Alabama Soil and Water Conservation to be used in the transportation of hay to the Cullman Ag Center. Cullman County Cattlemen’s put up $5000 to purchase hay and Cullman County Farmers Federation matched the allotment. With this funding, committee representatives organized transport and the purchase of hay to be delivered to Cullman Ag Center to be dispersed to producers who qualify. Local FSA agreed to take the applications. Cattle must be located in the county, users will pay for hay at affordable rate and are to pick up hay from the Cullman Ag Center. We are pleased that our largest county (by cattle numbers) has taken this charge and are hopeful that other counties will follow this example to provide hay relief across the state. We appreciate Past RVP Dr. Terry Slaten for being the driving force behind this program and thank him for his continued leadership. We look forward when RVP Brian Smith of Lauderdale County will bring leaders from six northwest counties to the Cattlemen’s Building in Montgomery. They will tour the building and discuss ACA’s role and how county chapters are a vital part of our success. We commend Brian and ACA Vice President Jack Batts on organizing this trip, and we encourage other RVPs and counties to do the same! We’ll even provide lunch! It didn’t take long for ACA’s new Director of Industry Relations and Youth Activities Matthew Pounds to get out of the office to attend workshops. On Tuesday, Matthew found himself in Shorter where he listened in on the Estrus Synchronization and Fixed Time Artificial Insemination Program lead by Regional Extension Agent Josh Elmore, Extension Veterinarian Dr. Soren Rodning and Beef Unit Manager Rob Peacock. Counties across the state are hosting annual meetings, and ACA officers and staff are working to attend each and every one! We can’t be there if you don’t let us know, so send your upcoming county meeting information to Jessica Kennedy at the state office. If you need ACA trinkets such as tags, membership applications, placemats, napkins, etc for your meeting PLEASE let Jessica know ASAP! We are also getting ready for the 60th annual SLE Rodeo! Activities and meetings are underway to finalize advertising, corporate sponsorships, facilities, scheduling and the Junior Beef Expo. We will meet with the rodeo committee next week to finalize plans. It’s a busy time for the rodeo! Thanks for reading this week’s post! We’ll be back, same time, same place next week for this year’s third weekly update. Until then, stay in touch with us by following us on Facebook, Twitter or Instagram. Have a great week and don’t forget to register for Convention and purchase your SLE Rodeo tickets! Happy New Year! We hope everyone had a wonderful, relaxing Christmas holiday and spent plenty of time with friends and family on the farm. Not sure about you, but this weather has our heads spinning…hot, cold, rain, drought, and now they’re talking snow this weekend! Dealing with the weather is just one of the many unique facets of being an Alabama cattleman. You may notice some aesthetic changes with today’s post, and we are excited to welcome you to the new-and-improved home of the Bama Beef Blog! This blog platform is directly connected to our website, BamaBeef.org so it helps us streamline our updates and news and get the most out of what our new website has to offer. We hope you like it! If you’d like to have a booth in our trade show, time is running out! We have only 10 booths left to sell. Contact Erin Beasley by calling (334) 265-1867 to grab your spot today. We will also be taking care of some business at convention! We recently completed Nominating Committee work on the slate for 2017 officers to be presented at the General Membership Meeting on Thursday February 16th. Be looking forward to who will lead this association in the future! We will also be handing out over $50,000 in scholarships at the Thursday night Awards Banquet! The scholarship committee is making final decisions on awards this week on over 100 applications. Scholarship letters will be mailed out next week. ACA officers, Board members and staff are getting ready to “Mosey on Down to Music City” at the 2017 NCBA Convention and Beef Industry Trade Show February 1-3! Staff will be there to attend meetings, workshops, promote associate memberships and to man our booth at the trade show! We’ve got several Board members and state officers who are going to serve and important role, however. ACA President Bill Lipscomb and Immediate Past President Jim Akin will represent ACA on the Federation (Checkoff) Board while ACA President-Elect Richard Meadows and Past President Jimmy Holliman represent Alabama on the Policy (membership) Board. Past President Donna Jo Curtis will complete her three-year term on the NCBA Executive Committee representing the southeastern states in Region II on the Federation side. Holliman, who serves as chair NCBA’s Animal Health and Well-being Committee, is in Washington D.C. today with a meeting of all of NCBA’s Policy Committee chairs preparing for the producer committee meetings later this month in Nashville. Speaking of Washington D.C., your state Cattlemen’s Association is working with NCBA on a possible lawsuit against USDA’s recent action forcing a unpopular change in Grain Inspection Pickers and Stockyards Administration (GIPSA) regulations that would impact value-based marketing. Stay tuned for more details as plans unravel. AJCA Round-Up Dates and Theme Announced! We’re excited to host our Juniors back in Montgomery at Garrett Coliseum on July 20-23, 2017 for a FIESTA! That’s right, bring your bright colors because we are going to be taking on the Round-Up with a south-of-the-border theme! We’d like to shoutout our 2017 Associate Members and thank them for their partnership with the Alabama Cattlemen’s Association. Be sure to check out their services! Thanks for checking out this week’s blog post! We hope you enjoy the NEW Bama Beef Blog. We’ll see you back here next week. Be safe and stay warm! Before we close out 2016 and staff enjoys a holiday vacation next week, we would like to wish each and every one of our cattle producers, members, industry partners, county and state leaders, Junior cattlemen, YCLP students, social media followers, sponsors…..everyone a very Merry Christmas and a Blessed New Year! We hope Santa Claus is good to you and yours and that 2017 starts bright. The Alabama Junior Cattlemen’s Association Board of Directors met this Tuesday to discuss plans for the upcoming year’s events and develop ideas for growing the statewide organization. Presiding over the meeting was AJCA President Cameron Catrett, with ACA Director for Industry Relations and Youth Activities Matthew Pounds advising. The group discussed starting county chapters, themes and new contest ideas for the 2017 AJCA Round-Up and responsibilities of directors including giving reports at county Cattlemen’s annual meetings. Matthew was very pleased as all 10 Directors were in attendance at the meeting and were eager to discuss plans and ideas. Great job, Junior leaders! Congrats and thanks to all who submitted membership in time for the drawing! Big changes are coming to the Bama Beef Blog in 2017! The new website (BamaBeef.org) will be the new home to the Bama Beef Blog starting our post of 2017. It’ll be new and improved, and we are excited for this addition to our website! 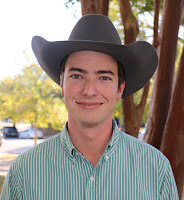 It’s been a long time coming, but our 21-year-old resident cowboy and tour guide of The MOOseum’s Video Gallery, Adam Bainbridge, developed a bad case of laryngitis earlier in 2016 and can no longer tell the story of Alabama’s beef cattle industry. That being said, never fear, Dr. Technology is here! We are fortunate to still have contact with Adam Bainbridge’s creator, Wayne Sullivant, and Erin and Kayla are working alongside Wayne this month and into January to produce a new video and get Adam’s voice back so The MOOseum visitors can hear and see all about Alabama’s cattle industry in HD! This week is exciting as staff celebrates Christmas with the annual office party complete with a game of Dirty Santa and other gift exchanges followed by a week’s vacation. The office will be closed to observe the holiday season December 26-30, and staff will report back at their desks the morning of January 2 ready to conquer the new year! Unfortunately, however, we will be returning without one veteran staff member. This Friday, we say goodbye to Ms. Martha Davis after 26 years of dedicated service to the ACA. Martha will spend her Christmas holiday officially in her retirement, and staffers are sad that she won’t be here to keep us all straight but excited for her and a well-earned break! Thank you, Martha, for everything! We have three headliner speakers this year. The first is 10-year veteran of CattleFax, Clay Spearman. The Colorado State University graduate will discuss weather predictions and cattle price outlooks during one of the Convention’s sessions. Next on the lineup is NCBA Past President Steve Foglesong who is now serving as a member of President-Elect Donald Trump’s agricultural advisory team. Foglesong will give us a look inside the future of American agriculture under the Trump Administration. Also confirmed is NCBA’s Senior VP of Global Marketing and Research Alisa Harrison. Alisa comes with vast experience in the worlds of beef retail marketing and public relations, and she will be giving an update on Checkoff efforts globally. Also, the Trade Show is filling up! Fifty+ vendors are locked in including some great equipment vendors. WE ONLY HAVE 13 BOOTH SPACES STILL AVAILABLE. Visit www.BamaBeef.org/Convention to register now. You can also stay up-to-date with all the newest announcements by joining our Convention Event Page on Facebook. 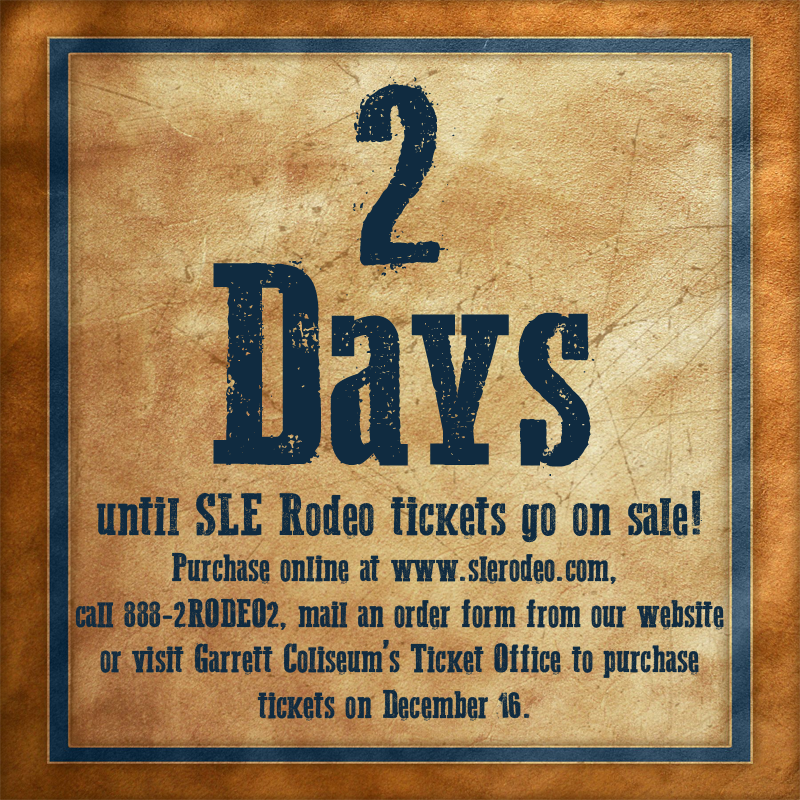 Just in time for Christmas, SLE Rodeo tickets are NOW AVAILABLE! 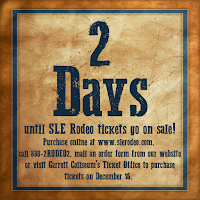 Rodeo tickets can be purchased online at SLERodeo.com, by calling 1-888-2RODEO2, through mail-in order forms available online, by visiting the Garrett Coliseum Box Office or at a local Publix. Thanks for checking out this week’s blog post! We will be back with a new report on January 4, 2017. Until then, keep up with our day-to-day activities by visiting our website (BamaBeef.org), ourEvents Calendar or FOLLOW US on Facebook, Twitter and Instagram. Have a Merry Christmas and Happy New Year! With the closing out of the year, one would think office tasks would be slowing down. On the contrary, much like the hustle and bustle of the holiday season, our office is busy with year-end tasks as well as planning ahead for 2017. Take a minute along with us to enjoy this week’s blog update. Also, the Trade Show is filling up! Fifty+ vendors are locked in including some great equipment vendors. WE ONLY HAVE 15 BOOTH SPACES STILL AVAILABLE. Visit www.BamaBeef.org/Convention to register now. You can also stay up-to-date with all the newest announcements by joining our Convention Event Page on Facebook. from the Azalea Training Center in Prattville joined us for The MOOseum’s first-ever “Mooey Christmas” event for photos with Santa, a Christmas cookie snack and to learn all about Alabama’s beef cattle industry through tours of The MOOseum. The groups even had the opportunity to see real live Shorthorn steers on display by AJCA President Cameron Catrett and AJCA District 4 Director Cassidy Catrett. The MOOseum also served as a proud Toys for Tots 2016 drop off location and encouraged “Mooey Christmas” attendees to bring donations for the charity that provides toys to less-fortunate children. The first-ever “Mooey Christmas” event was a hit, and plans are already in the works to make next year’s event bigger and better. This event was aimed at giving back to the community, and it truly brought joy to all involved. Class III met for their final meeting before graduation at the ACA Convention. The focus of the meeting was to recap learning experiences over the year, work on communication skills, discover ways to deal with differing personalities, and continue our work on issues management training. We are excited to welcome the new ACA Director of Industry Relations & Youth Activities Matthew Pounds into the office for his first week on the job. Matthew is a very recent graduate of Auburn University’s College of Agriculture and a Pike Road resident. He is the grandson of well-known Brahman breeder and veterinarian Dr. Robert Barlow. On a fun note, he is also new to the married world as he and his new wife, Whitney, recently wedded in November. He has hit the ground running making contacts in counties with Junior Cattlemen’s chapters, attending industry-related meetings and planning next week’s AJCA Directors meeting. Matthew comes to the ACA after having spent several years working for two very large purebred Brahman ranches in Texas- Hudgins and V-8 and five years with Joyce Custom Fitters. He grew up on a cattle farm and was an active member of the Alabama Junior Cattlemen’s Association. He is well-versed in exhibiting in the Junior Beef Expo, the Alabama Junior Fair and the AJCA Roundup. You can contact Matthew by email or by calling him at (334) 265-1867. The Drought Committee meeting with the governor’s office and stakeholders this morning at the Cattlemen’s Building expand on the educational process on how to use less hay by incorporating alternative feeds. We want to work with neighboring states, particularly our neighbors to the west, to expand the online hay directory. Again, meeting with the governor’s office and stakeholders. Black Vultures have been a problem, but are especially so along the Tennessee River among our friends in northwest Alabama. These vultures flock together in an un-ordinary fashion and kill or maim calves during or after birth. As we all know, birds of prey are protected by the federal government. Despite that, this has become a growing problem in the past couple of years and the ACA and stakeholders are meeting to discuss streamlining the process on getting a permit. We enjoyed hosting a surprise retirement reception for Martha Davis last evening to honor 26 years of dedicated service to the ACA. Past presidents, staff members new and old and family members stopped by to wish her well and offer gifts. She was even serenaded by longtime staff member and Pike County cattleman Ed Whatley. Thank you, Martha! We’ve got a lot of SLE Rodeo planning in the works as we look to close out 2017. Thursday afternoon, we are meeting with longtime SLE Rodeo media consultant Lisa Matthews Locklar to continue planning the promotional campaign for the 60th annual SLE Rodeo. We are also meeting over lunch today with representatives from the Wind Creek Casino and Hotel Montgomery & Wetumpka to discuss their sponsorship. We so appreciate Wind Creek’s support! THIS FRIDAY, December 16, tickets for the four rodeo performances will open on all platforms to the general public! Rodeo tickets can be purchased online at SLERodeo.com, by calling 1-888-2RODEO2, through mail-in order forms available online, by visiting the Garrett Coliseum Box Office or at a local Publix. AJCA Directors will be meeting Tuesday, December 20 to discuss potential changes, dates and themes for the 2017 AJCA Round-Up. We look forward to having our Junior directors in town for the day and are excited for them to meet the new ACA Director of Industry Relations & Youth Activities Matthew Pounds. Thanks for checking out this week’s blog post! Tune in next week for a big announcement about next year’s Bama Beef Blog. Until then, keep up with our day-to-day activities by visiting our website (BamaBeef.org), our Events Calendar or FOLLOW US on Facebook, Twitter and Instagram. Have a great week! Happy December! The hustle and bustle of the holiday season has found its way into the ACA office as we prepare to close things out for 2016 and look ahead to the new year. We are crossing our T’s and dotting our I’s as we finish up programs from this year and look ahead toward all the events that lie ahead in 2017. It’s going to be a BIG year! Take a break from wading through all the mud puddles (We say that with very grateful hearts!) and warm up for a few minutes as you enjoy this week’s update from the ACA state staffers. To date, we have confirmed three speakers for the many sessions in the Convention. The first is 10-year veteran of CattleFax, Clay Spearman. The Colorado State University graduate will discuss weather predictions and cattle price outlooks during one of the Convention’s sessions. Next on the lineup is NCBA Past President Steve Foglesong who is now serving as a member of President-Elect Donald Trump’s agricultural advisory team. Foglesong will give us a look inside the future of American agriculture under the Trump Administration. Also confirmed is NCBA’s Senior VP of Global Marketing and Research Alisa Harrison. Alisa comes with vast experience in the worlds of beef retail marketing and public relations, and she will be giving an update on Checkoff efforts globally. Also, the Trade Show is filling up! Fifty+ vendors are locked in including some great equipment vendors. Make plans to attend and show these vendors how much we appreciate them exhibiting with us! Visit www.BamaBeef.org/Convention to register now. You can also stay up-to-date with all the newest announcements by joining our Convention Event Page on Facebook. Moo-ey Christmas! This year, we are proud to announce that The MOOseum is now a Toys for Tots Drop-Off Location. Bring your unwrapped toys by the ACA to donate to less-fortunate children during the Christmas season and stick around for a tour! We’ve already had so many wonderful donations and are grateful to those who have stopped by to make a child’s Christmas bright. We’ve also got another exciting Christmas treat this year! This Friday, December 9, you can bring your kiddos to The MOOseum for our very first Moo-ey Christmas event! We are hosting children from the River Region into The MOOseum for photos with Santa, a cookie decorating station, coloring time and tours of The MOOseum with real, live show calves (courtesy of AJCA President Cameron Catrett) for the children to see! Bring your little ones by next Friday morning to join in on all the Christmas cheer…and don’t forget your toy donation! On Thursday, the Montgomery Wellness Forum will meet in our building to discuss programs incorporating healthy choices in the workplace. This group consists of large business in Montgomery as well as public health officials, the American Cancer Society and the American Heart Association. We love having this group in our building because it gives us a chance to remind them about the recent research and resources available to keep beef in their healthy lifestyles that they are implementing in the workplace. This weekend holds the final meeting for our third class of YCLP students. They’ll be joining here at the Cattlemen’s Building for a discussion entitled, “Deep Dive into Your Leadership Potential.” It will focus on leadership on the county level and offer continued training in beef advocacy. This is the last session before Class III graduates at the ACA Convention. Even after all this wonderful rainfall, we are still playing defense in terms of the drought. This week, ACA leadership met with representatives from the Dept of Ag, ALFA, Auburn University and other allied industry partners to focus on hay needs of cattlemen looking to feed their cattle through the spring. The group is working with the goal to seek out potential government funding for hauling hay into the state. We’ve got a lot of SLE Rodeo planning in the works as we look to close out 2017. This afternoon, we are meeting with longtime SLE Rodeo media consultant Lisa Matthews Locklar to plan the promotional campaign for the 60th annual SLE Rodeo. Next week on December 16, tickets for the four rodeo performances will open on all platforms to the general public! Rodeo tickets can be purchased online at SLERodeo.com, by calling 1-888-2RODEO2, through mail-in order forms available online, by visiting the Garrett Coliseum Box Office or at a local Publix. We are also excited to announce that local rodeo entertainer Trent McFarland is our featured act during this year’s SLE Rodeo. Trent is from Autauga County and has performed with his wife, Wendy, across the southeast in rodeo events. He has been the featured act in past SLE Miracle Rodeo’s, and we are excited to have Trent on the main stage at the SLE Rodeo for its 60th anniversary show! ACA Executive Vice President Dr. Billy Powell is meeting with a group of producers from Greene County to discuss reorganizing the Greene County Cattlemen’s Association chapter. The chapter, which has held low membership and little activity in the past several years, is looking for a nudge in the right direction on rejuvenation. We’re happy to help counties meet their true potential and are proud that Greene County is taking a step in the right direction of improvement! We have many meetings happening over the course of the next few weeks to help wrap up the 2016 year at the ACA. Final reports are due and nominating and finance committees are meeting close the books on 2016 and look ahead to 2017. A Scholarship Selection Committee is in the works and are looking through a record number of scholarship applications! The goal is to notify the winners by mid-January. Stay tuned! For those who have been following the Meadows’ Family story since ACA President-Elect Richard Meadows’ middle son, Will, was in an accident sustaining head injuries just before Thanksgiving, they have good news to share! Their family is so appreciative of the prayers and support they have received since the accident and are pleased to report that Will has made leaps and bounds in his recovery since last week’s post. Today, he is headed to Shepherd’s of Atlanta for a minimum of four weeks in rehab. They ask for continued prayers for improvement and patience through the rehab process. Follow Will’s progress on the Will’s Journey Facebook Group. His mother, Kathy, said he would appreciate any and all cards, texts, emails, social media posts, etc. We will update here once we receive the mailing address! Thanks for checking out this week’s blog post! We’ll be back here next week with another update. Until then, keep up with our day-to-day activites by visiting our website (BamaBeef.org), our Events Calendar or FOLLOW US on Facebook, Twitter and Instagram. Have a great week!